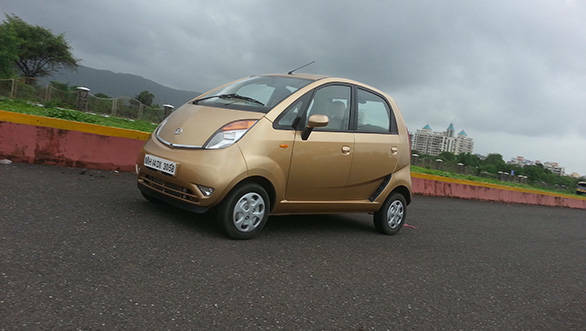 The 2013 Nano is here and as the images suggest it's not a revolutionary upgrade. 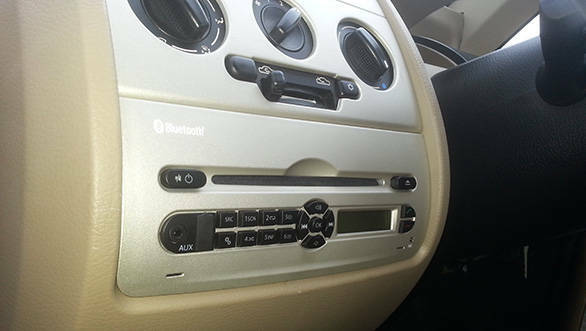 However Tata has made a quite few improvements to a car that it is now aiming at the youth in addition to the masses. After a quick drive in the car it's apparent that the new Nano feels far more improved over the original that came out four years ago. Changes to the exterior include some tweaks to the bumpers, chrome garnishing and smarter looking wheel covers. The rear bumper covers up the exposed parts from the old car and looks more sophisticated. Sadly there's still no tailgate release option. The improvements to the interiors however are what have got our attention. The quality of plastics is improved and leaves no room for complaint. The seats get more padding and are more comfortable. A larger steering wheel makes it easier to pilot the car while the front power window switches have been moved to a far more ergonomic position behind the gear shifter. Our grouse of no closed compartments has been addressed and the Nano now gets two glove compartments on either side of the dashboard. Flanking these glove compartments is a set of speakers that provide surprisingly decent sound quality from a USB/AUX/Bluetooth compatible sound system that is neatly integrated in the dash. Another useful addition is a 12v power socket. The Nano continues to be an airy and spacious cabin and we have absolutely no complaints regarding quality given the price. The top end LX also gets remote central locking, another new feature. 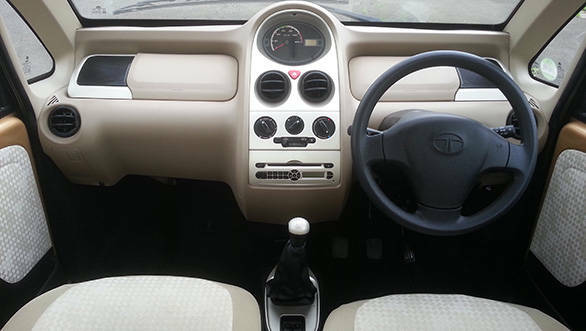 One of our earlier issues with the Nano was its heavy steering and the larger steering wheel helps to an extent by providing better leverage. The car is effortless to steer once moving but it does take it little bit of work while parking. Of course besides that the tiny 3.1m dimensions and 4m turning radius make this one of the easiest car to park. The brakes continue with the same 180mm drum setup at the front and the rear. However we recall the old car had very poor brake modulation and it was quite literally on or off. The new one has improved on this significantly offering much more modulation and control although some more bite would be nice. Ride quality too seems quite improved and the car while still stiff doesn't crash through potholes as harshly as its predecessor. The 2 valve 624cc inline twin cylinder carries on unchanged from last and the 38PS and 51Nm on tap coupled with the low 635kg kerb weight makes the Nano sufficiently zippy for urban driving. 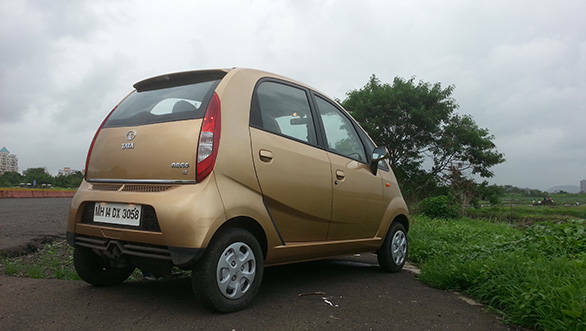 A tall fourth gear making highway jaunts a little easier if you must take your Nano out on long drives. While it's easy to criticize Tata for not including the option of power steering or ABS consider that the first Alto variant with power steering costs Rs 2.57 lakh and ABS is not an option on the Maruti either. The Tata might be lacking in its long distance or luggage carrying ability but it makes great value as a city runabout.